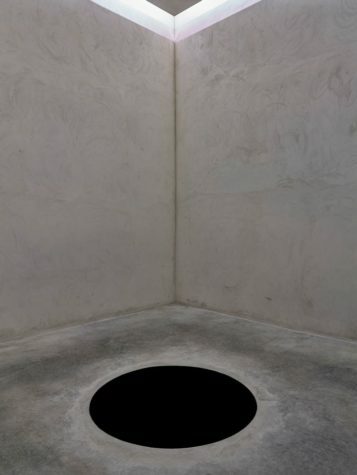 A visitor to the Anish Kapoor exhibition at the Serralves museum in Porto, Portugal was hospitalized this week after falling inside one of the British artist’s installations, which features a 2.5-metre-deep hole. It is not clear whether the injured party fell into the hole or beside it. The work, Descent into Limbo (1992), consists of a cube-shaped building, which can be entered by visitors, with a circular hole in the centre of its floor. The sides of the hole are coated in black pigment, giving the illusion of a depthless void. Will It Be As Good As The Vuitton Museum?